Witnesses said the aircraft spiralled to the ground shortly after taking off from the centre the pitch before bursting into a "ball of flames". 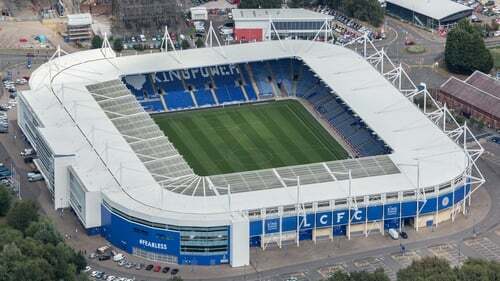 The incident occurred in the King Power Stadium's auto park, where police cars and emergency services rushed towards an area where flames were clearly visible before the area was evacuated. Leicestershire police have confirmed they are "aware and dealing" with an incident outside the ground. Srivaddhanaprabha gets picked up by his helicopter on the pitch at the King Power after every Leicester home game. The backing of the Thai businessman, 60, helped Leicester win the Premier League title in 2016.